This series of prophets and sybils reproduces six of the twelve figures in the pendentives at the lower edges of the Sistine Chapel ceiling, painted by Michelangelo between 1508 and 1512. The date of 1540 which appears on some of the prints is almost certainly incorrect. At this date Ghisi’s engraving style had not developed to the level evident in these prints. Also, the publisher of the engravings, Nicolò van Aelst, was not active until the 1570s. 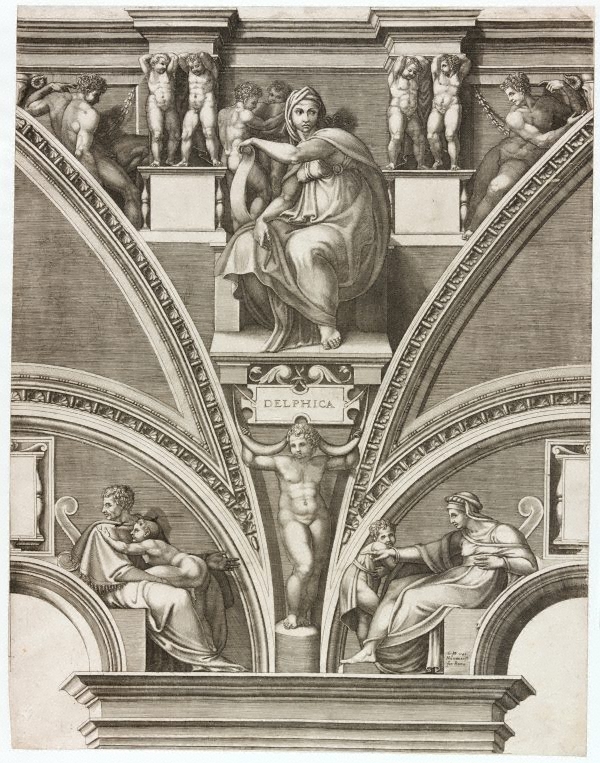 The false dating may therefore have to do with rivalry among publishers and the desire to add value to the prints by claiming that they were the earliest to be made after the Sistine ceiling.